"flow": "flow; test $? -eq 0 -o $? -eq 2"
Type “npm run-script flow” on your command line, and you should see some output. Probably errors. We’ll get to that later. But this only sets the language level. Right now, IntelliJ IDEA does not actually highlight flow type errors by itself. So to actually see the flow errors, you need to install a thrid party plugin: dsilva/webstorm-plugin-flow-typecheck/releases - Just download the latest release and install the plugin from disk. 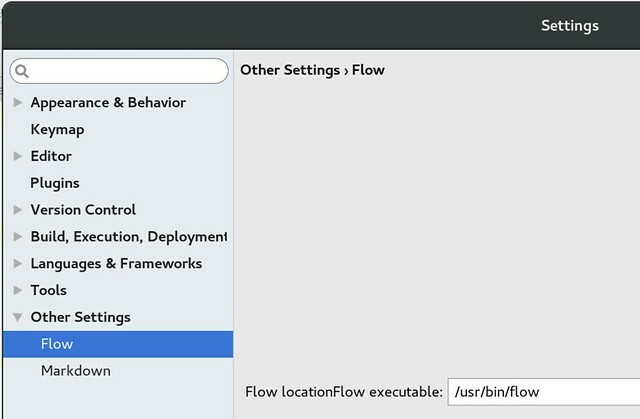 Install flow globally so you can easily run it from the command line. The Flow plugin we just installed needs this. And configure the flow plugin. IDEA Flow plugin is working now! Now you can run the checks and tests with Gradle - On your build server, for example. To fix them, we first have to update web-frontend/.flowconfig so it actually includes all node_modules. But then it would produce some errors because of the “fbjs” module. I don’t think they are critical right now, so I set this module to ignore. We also want to ignore everything in the “build” folder, because that’s auto-generated code. And now flow should be running with no errors. I did not change anything in the way development mode works (loading the files with system.js), because this works out of the box (at least with Chrome). Now the basic setup works for me - I can run the tests from the build, and I see type errors in my IDE. But there are still some things missing. Do you have any feedback/questions? Just contact me!